If it were only so simple to see into the future. 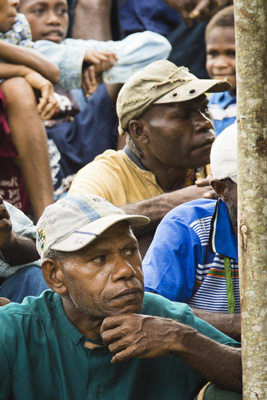 There are still almost 300 languages in Papua New Guinea without a translation project started. Many of them have asked for some help but there are not enough resources to make it happen. They have to wait and imagine what the future will hold for them. Pray that this year would be a record year for new language project starts. 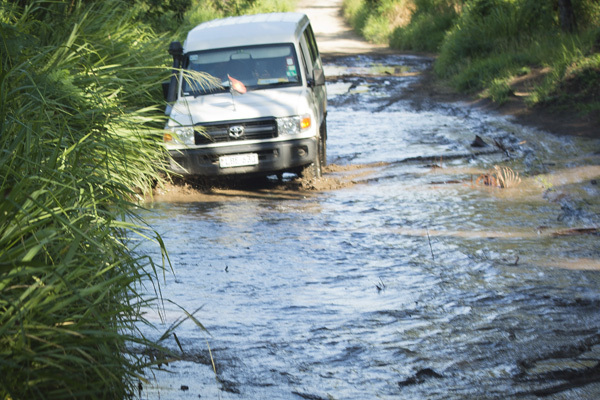 You can usually get to where you need to go in Papua New Guinea but sometimes it’s just not clear if you are on the road or in the river! If you are not sure, the answer is probably, both. Getting around to the various translation projects requires a coordinated effort involving planes, helicopters, 4 wheel drive vehicles and boats. Pray that those who are traveling today can overcome the obstacles they may be facing! Which string is the best way to go? 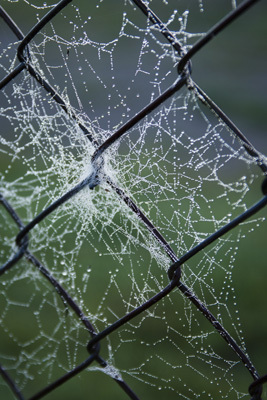 Like this spider web, there seems to be so many different ways to get the Bible translation job done in Papua New Guinea. However, not every way is the best way. There are a lot of decisions that have to be carefully considered in order to make sure the project has the best chance for success. Pray for wisdom and a “good view” of the process so that the limited resources can be used wisely. Remember when you had to go to the front of the class and write on the board? Here is a class in Back Translation Principles that is held in Ukarumpa, Papua New Guinea. As part of the the translation process, translators take translated material and write it out in English to check it for accuracy. First it is translated word for word. Then it is rearranged to make sense in English because word order and sentence structure can be different from language to language. It’s hard work and really requires a good understanding of both languages. Pray for wisdom as this training is very important to the accuracy of the translation. 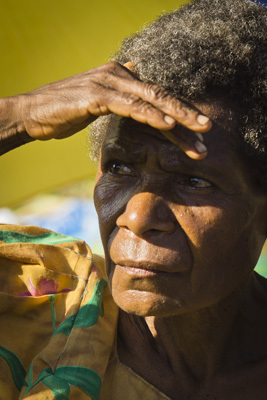 When language groups consider whether or not to have a language project started in their area, the response is usually overwhelmingly “YES!” However there is much to consider before a community in Papua New Guinea can become part of a project. Are they willing to dedicate multiple people to be nearly full time workers? Is there church and community leader support? Are there people opposed to the idea? What facilities could be used? There are many more questions. It is not an easy decision for the community or the translation organisations. Pray for wisdom as these groups work together to make a translation possible. The saying “A feather in your cap” indicates that you have achieved something that you can be proud of. 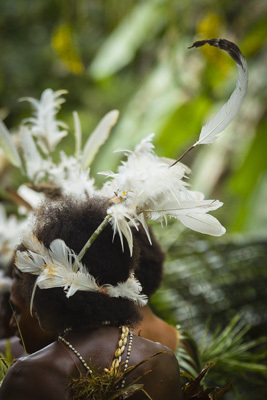 With 200 languages having a completed New Testament in Papua New Guinea, Papua New Guineans can be proud of the work accomplished in their languages. However, there is still a long way to go. It is estimated that over 280 language groups could benefit from a language project being started in addition to the 200 languages already in process. What’s holding them back? Resources – people, time and financial assistance. Pray that God would show you a way to get involved in this fantastic effort. 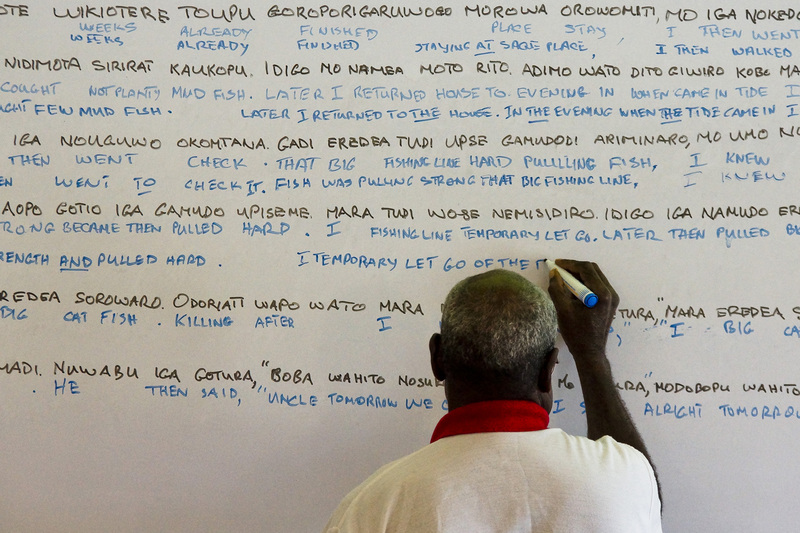 A big part of the translation process in Papua New Guinea includes training. Learning has many different faces and ways. 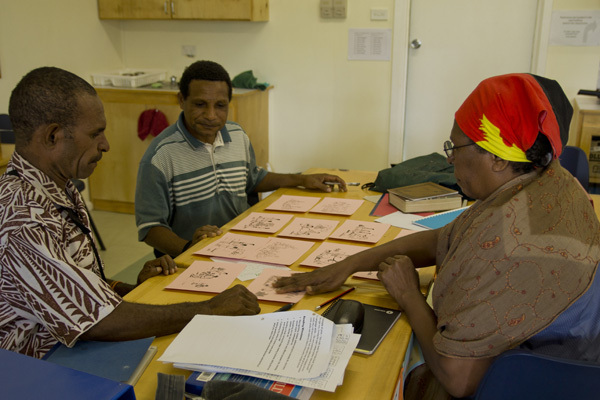 One of the most effective ways to train in Papua New Guinea involves PNGers interacting with each other during the course. Pray that the carefully prepared coursework can be effective so that more people can be involved in the Bible translation process.